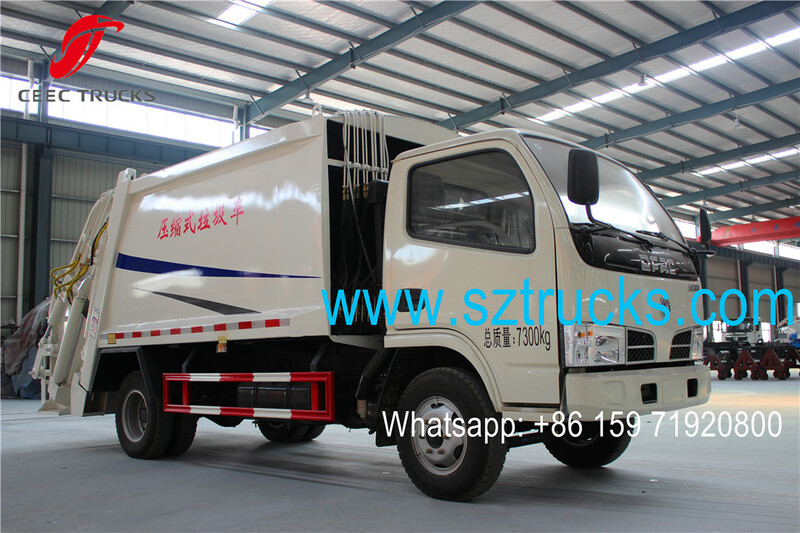 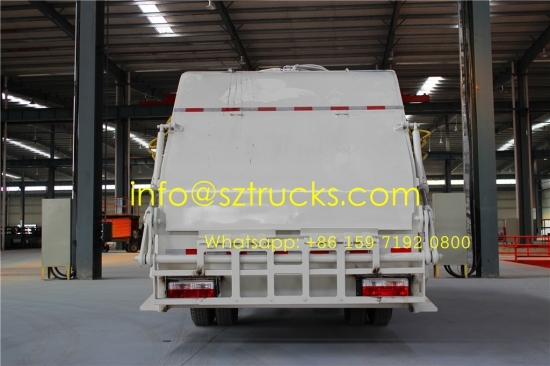 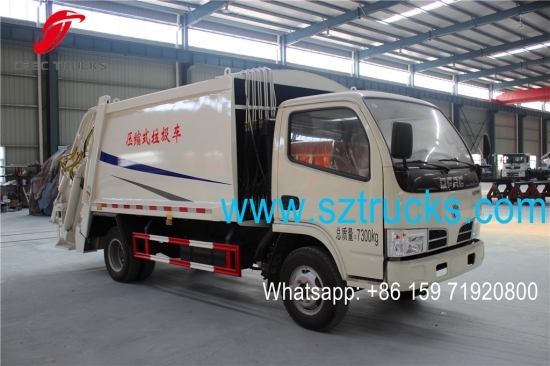 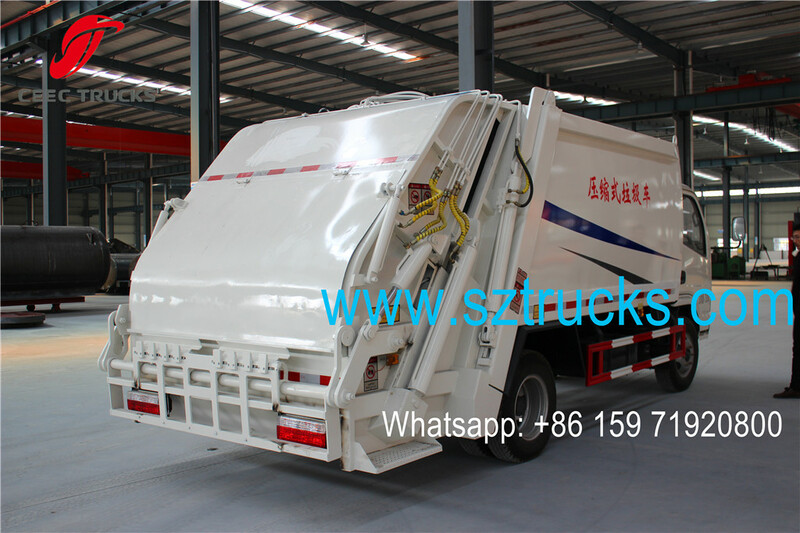 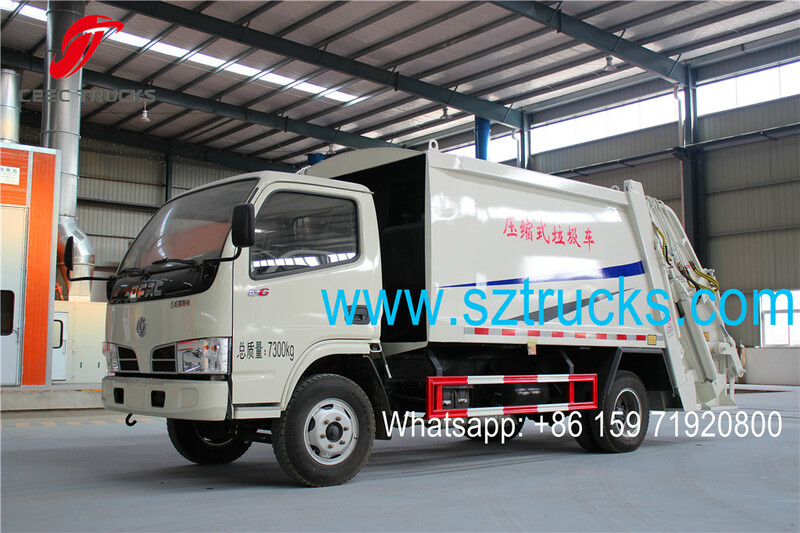 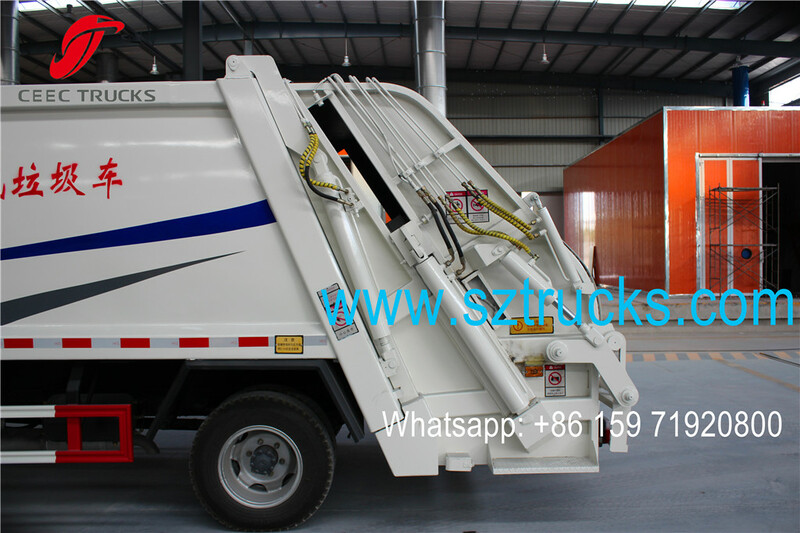 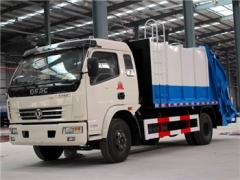 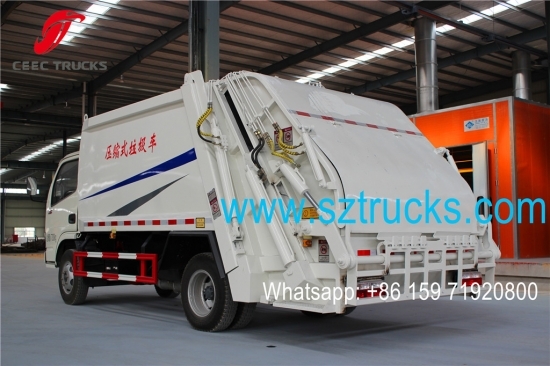 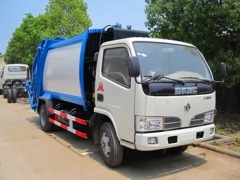 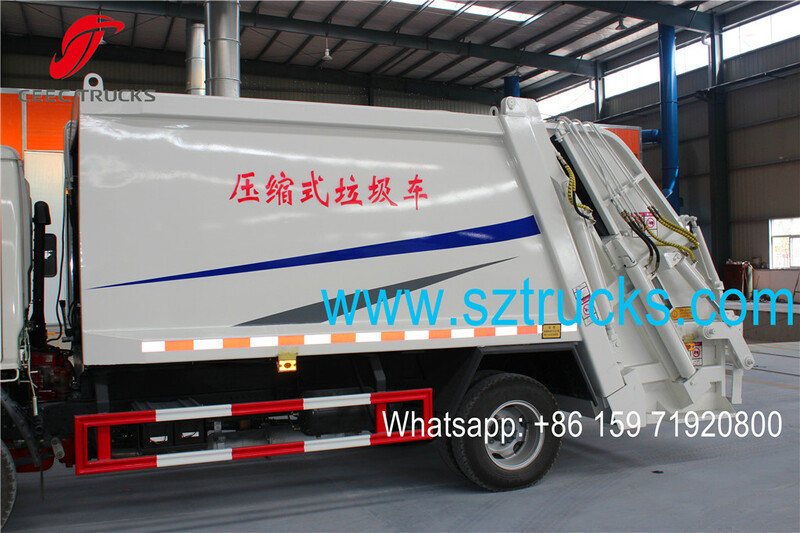 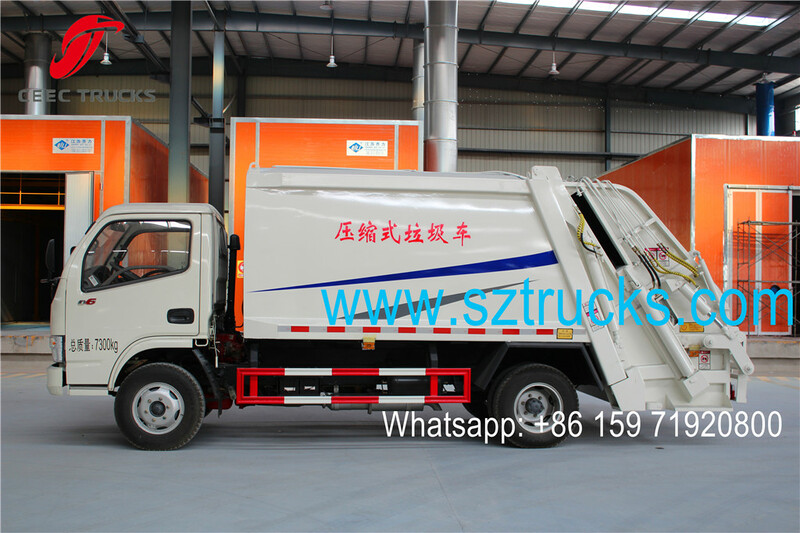 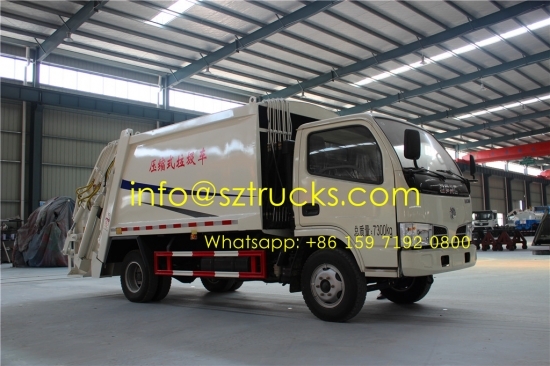 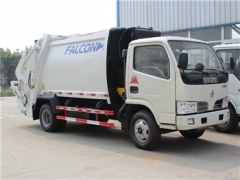 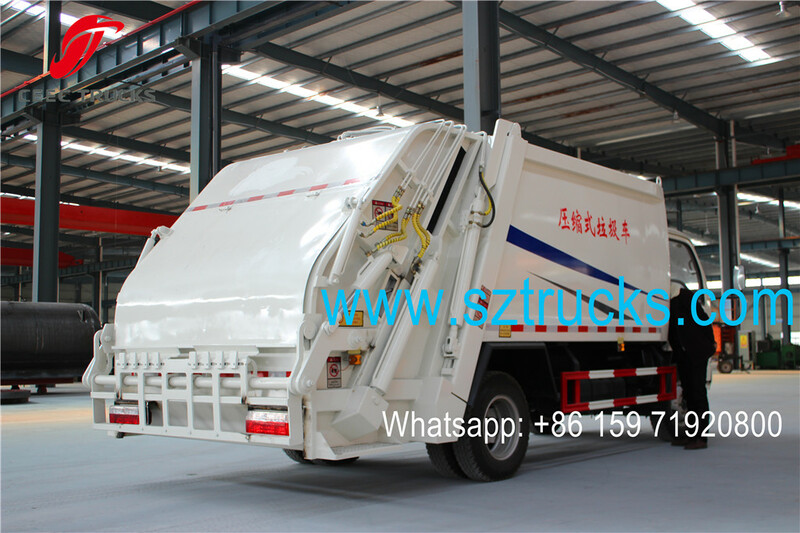 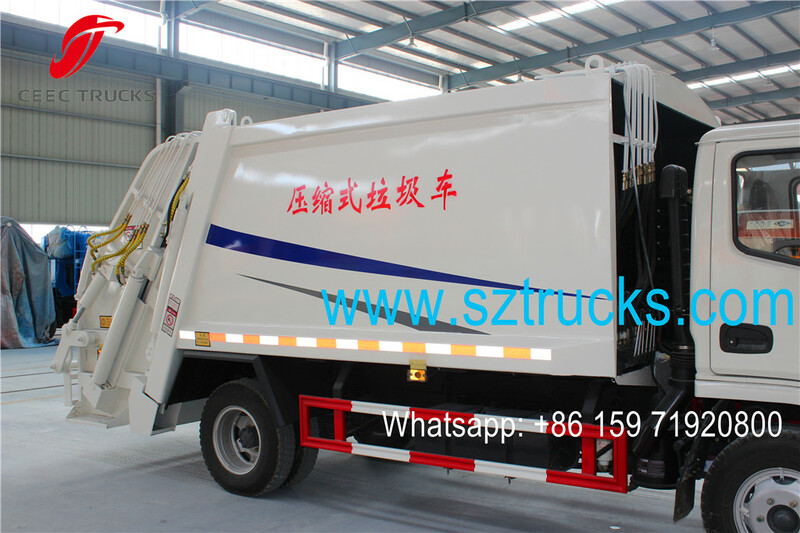 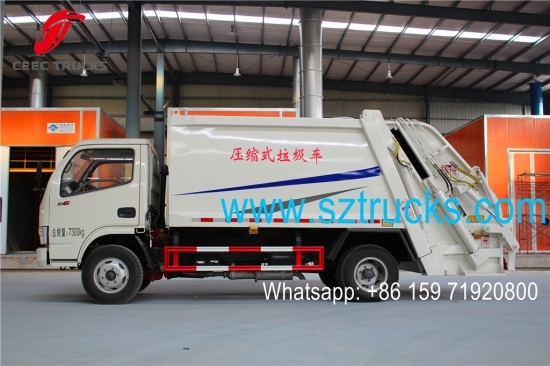 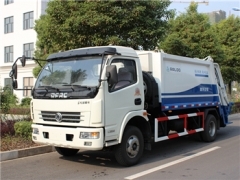 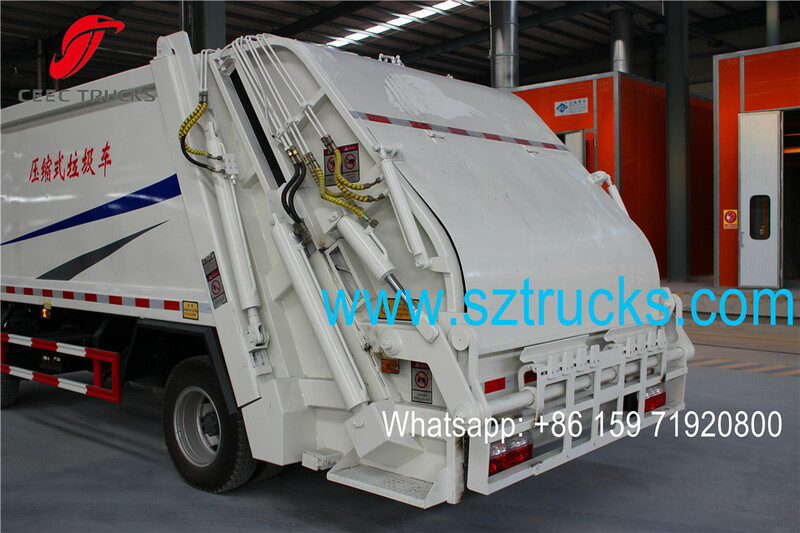 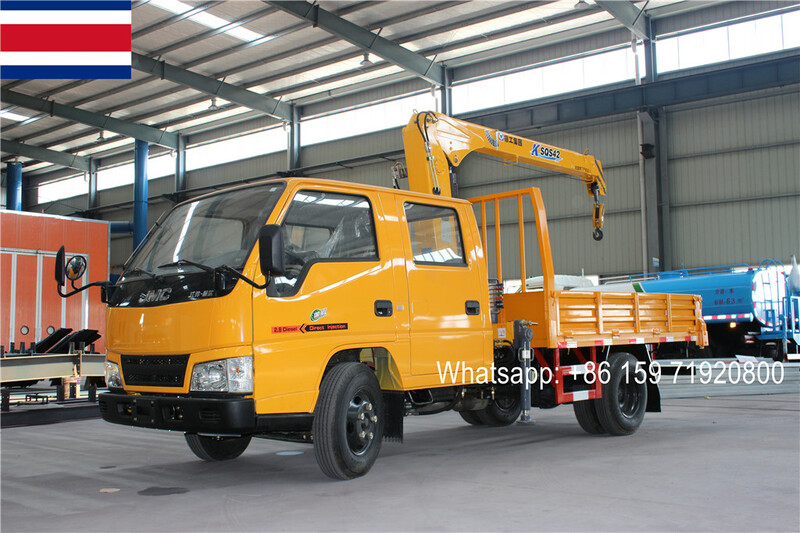 Garbage compactor truck (also named waste compactor truck, garbage compactor, trash compactor, refuse collection truck, compactor garbage truck,rubbish truck, bin wagon, dustcart, bin lorry, waste collection vehicle) is designed to collection, compression and transportion municipal solid waste. 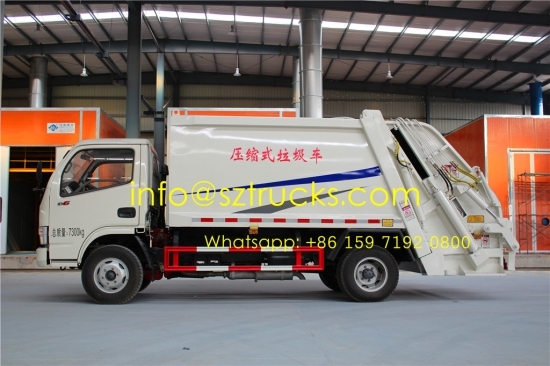 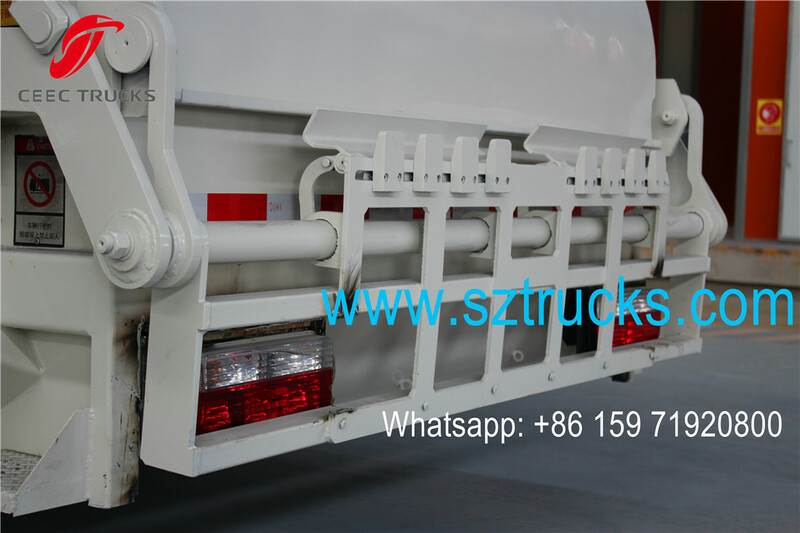 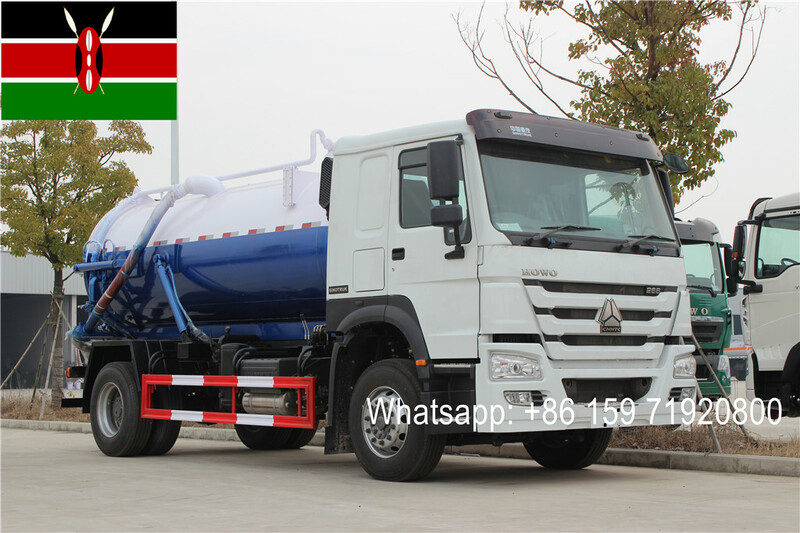 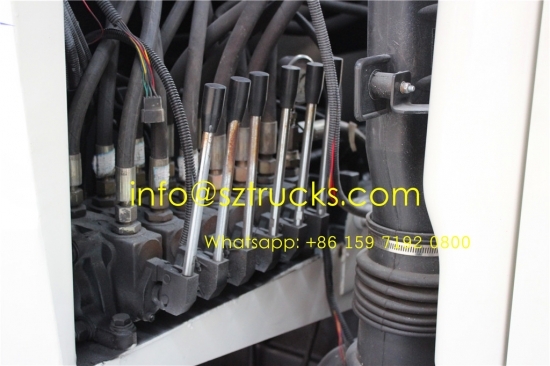 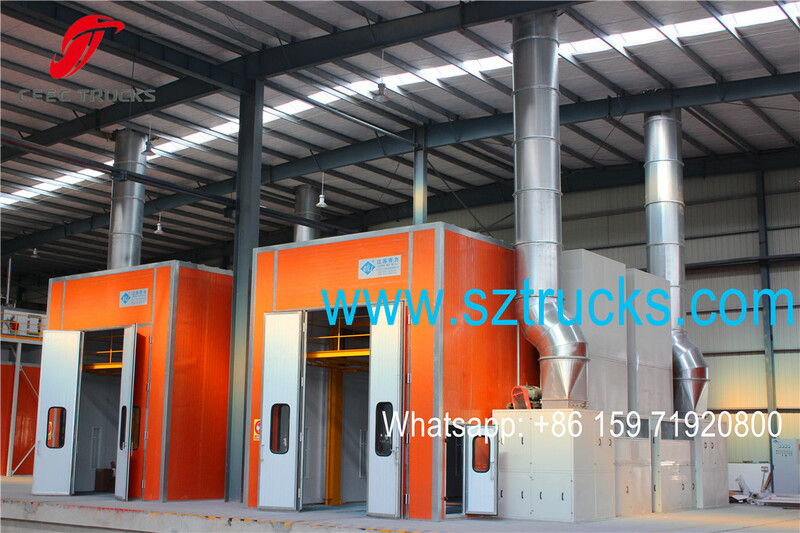 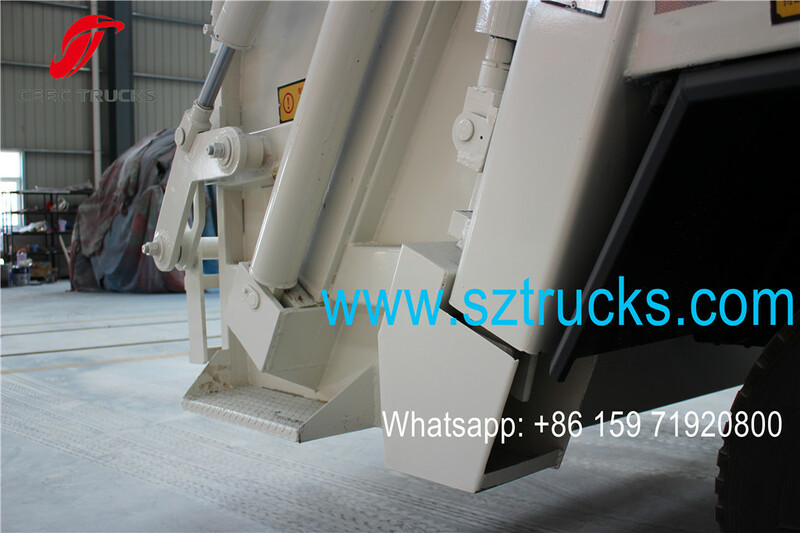 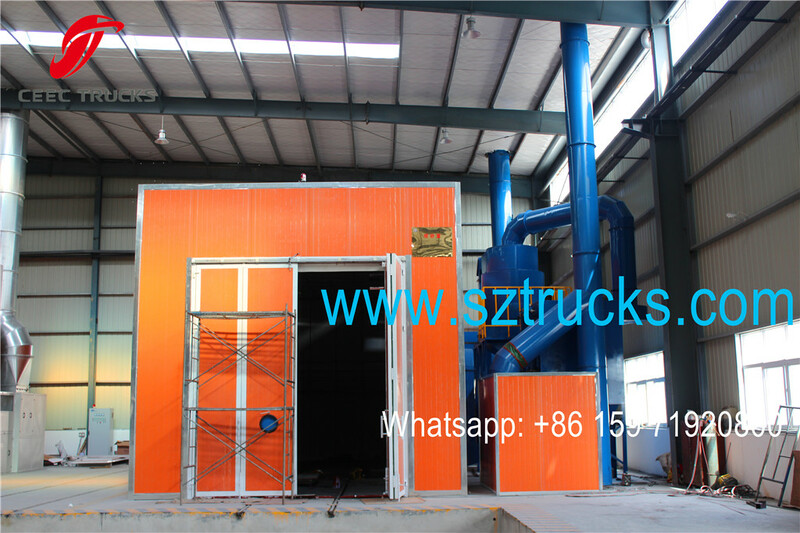 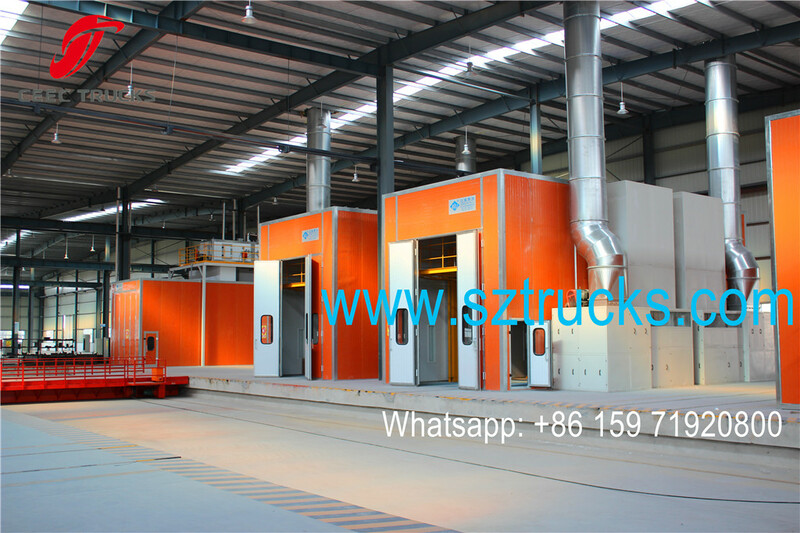 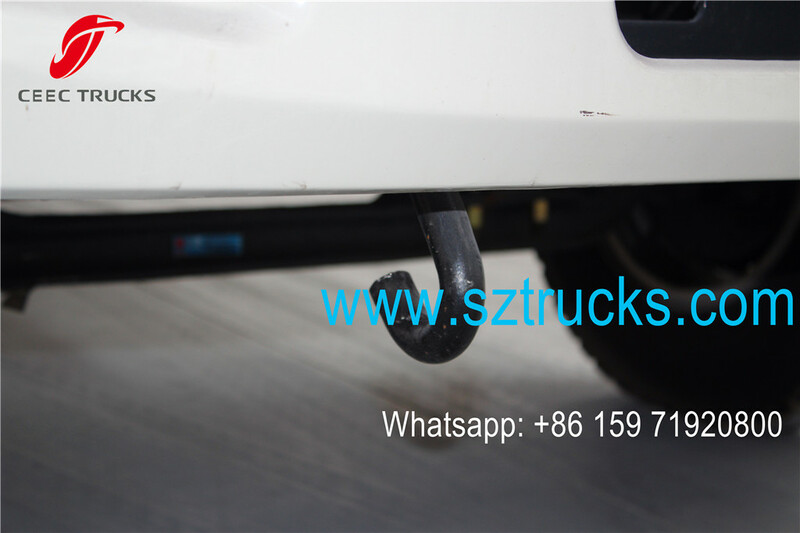 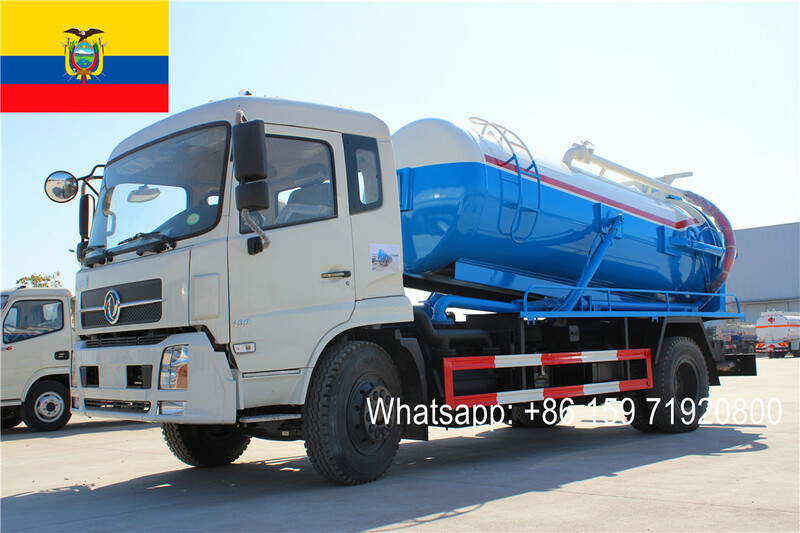 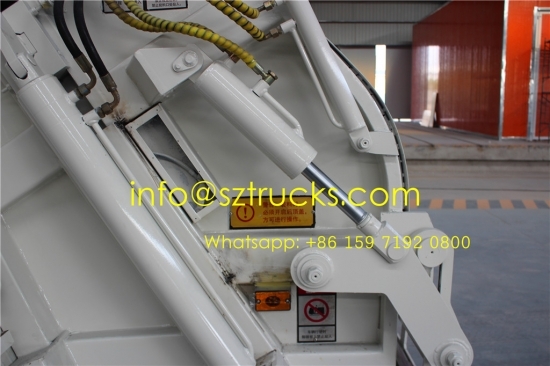 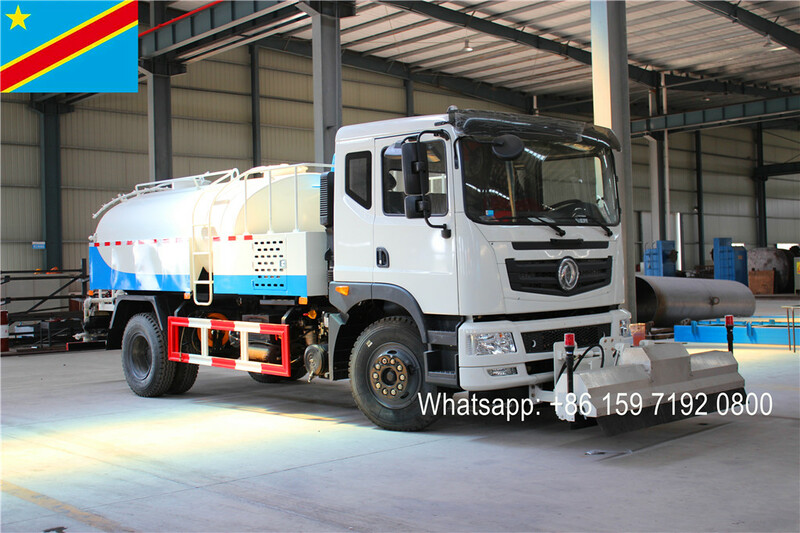 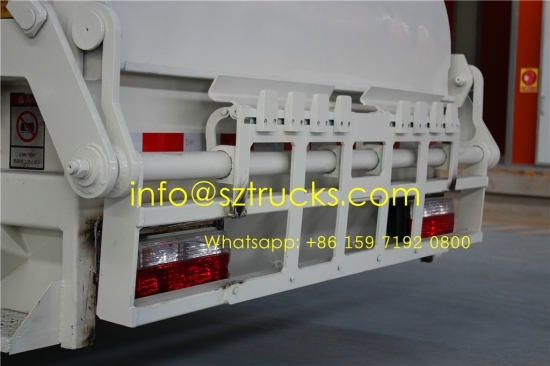 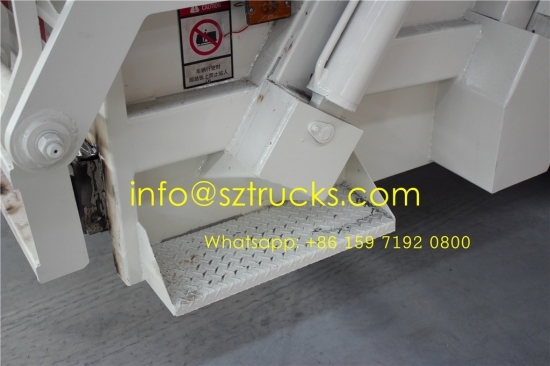 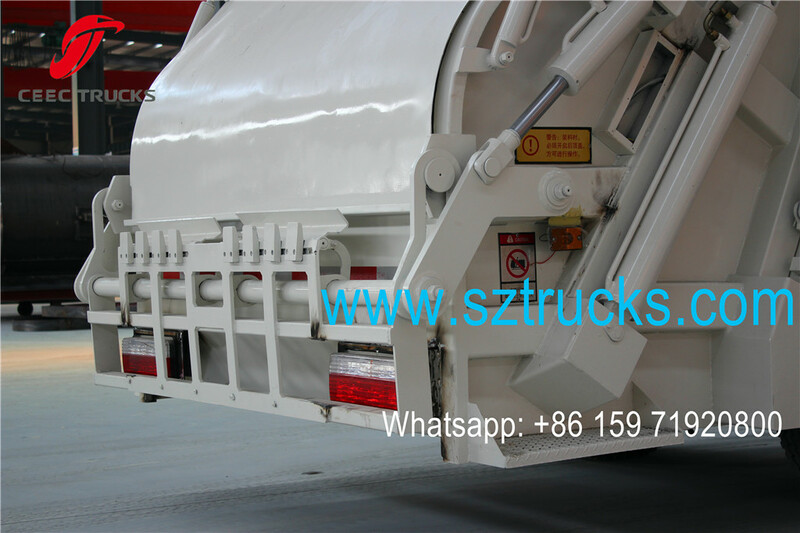 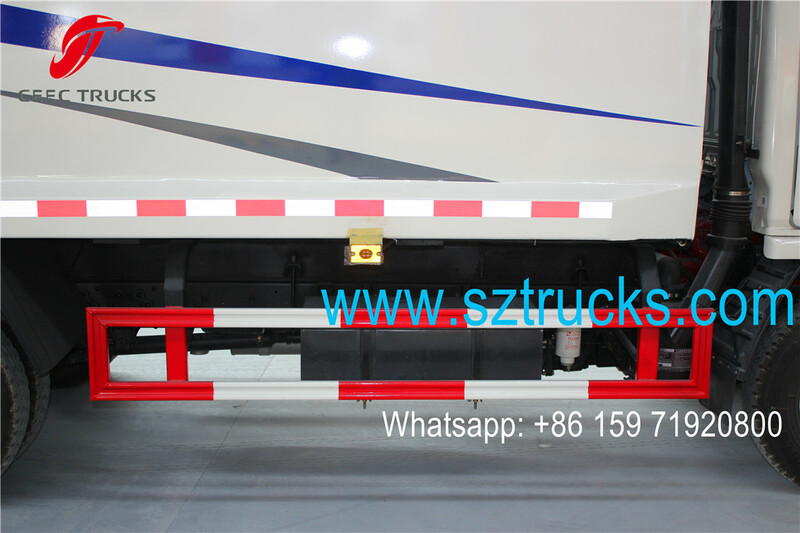 Garbage compactor truck is composed of hermitical garbage box, hydraulic system and operating system, which could apply pressure to the waste to break down bulky items, to load and transport more garbage by one time. 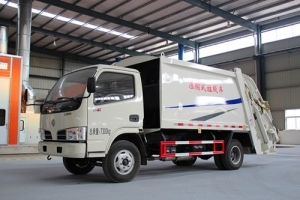 Dirty liquid flows into waste sink, perfectly preventing re-pollution. 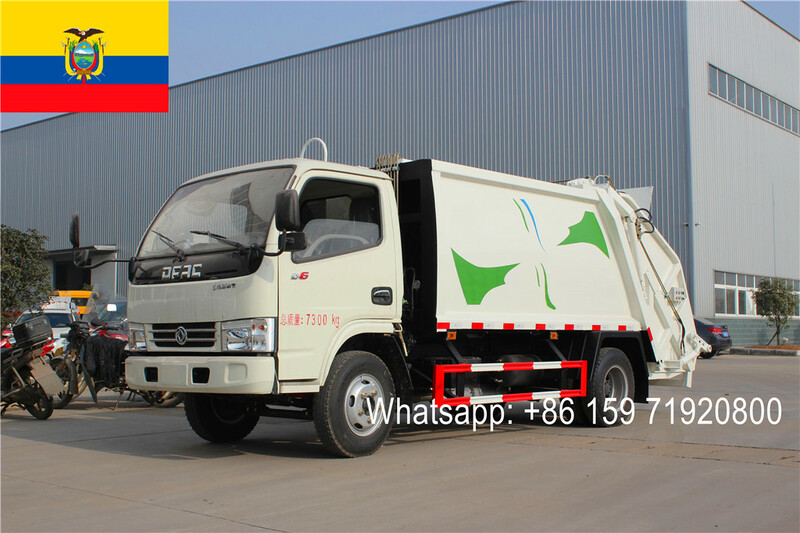 When arriving at destination, the garbage can be dumped completely. 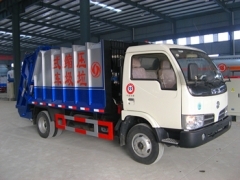 It is ideal solution for solid waste collection. 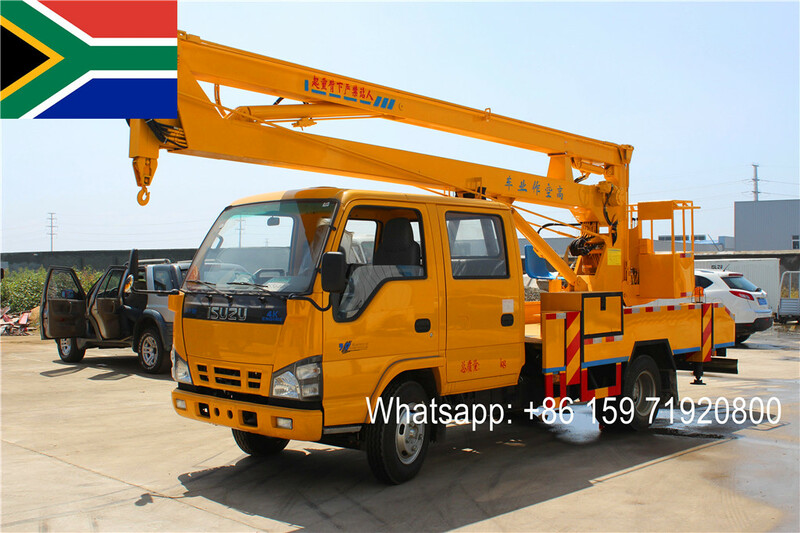 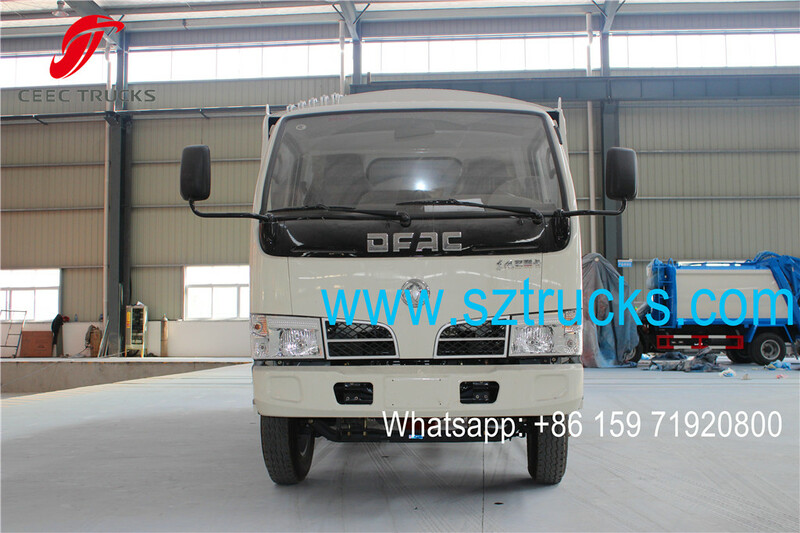 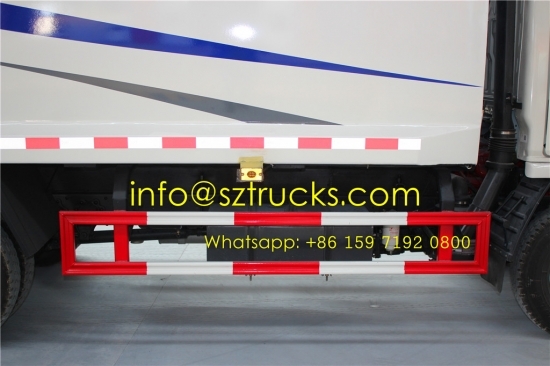 ---- Dongfeng mini 4x2 LHD chassis, perfect performance.